Dawnita Fogleman is an Independent Consultant for Usborne Books & More. Some of the links in this post are affiliate links. See my disclosure policy for details. Auditory - Musical math tapes and CD's. We have several different ones, but I think the favorites have been Rock'n Learn Country. They have Addition & Subtraction and Multiplication. Kinesthetic - Dominoes, magnetic numbers, and Learning Wrap-Ups. I carried these in my bag for years for the children to play and learn while we waited at restaurants or appointments. They are wonderful learning tools! Visual - Flashcards and Wipe-Off books. Another favorite I reference a lot with the children is the Melissa & Doug Wooden Shape Sorting Clock. It has been helpful with numbers, shapes, colors AND learning to tell time. For homeschooling, after trying several programs, I believe Math-U-See is THE BEST Math curriculum. Drooling with juicy inspiration today...Artists, books, resilience, nature... at Allspice & Acrylics blog You'll want to spend some time getting to know this inspiring & inspired young lady. It is wonderful what God is doing in her life! Last week I did a fun guest post at To The Moon & Back Blog. She's doing a series on the ABC's of Ancient History. A for Astronomy was a great topic for me and the timing was perfect with Passover approaching. Our family has been celebrating Passover for several years now. This is one of our favorite holidays. We've never done "easter bunny" and have enjoyed learning more about our Saviour's Death and Resurrection. In the process we have learned a LOT of history. Ancient History is one of my favorite subjects. (I loved the Indiana Jones movies! They make Archeology look so much fun!) Have you ever considered learning more about the Feasts of the Lord, Astronomy, and what they may have in common? I'd love for you to pop over and visit To The Moon & Back Blog. While you're there, pick up a free copy of this month's chapter and learn about Passover in the stars with your children. 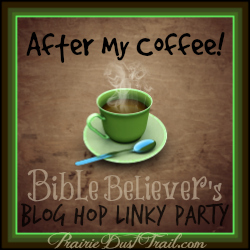 Don't forget to visit our links for #AfterMyCoffee Link up! Family friendly, Devotional, Homemaking, Homesteading, or Homeschooling posts from Bible Believing sites. Please link up only ONE POST url, not your basic site url. (ie.. http://www.yoursite.com/post-name/). It can be an OLD post. Anything fun you'd like to share. I'm feeling a little lazy this week. We've had allergies/cold this past week. Sniffles, nose blowing, sore throats... We have our essential oils in the diffuser, red onion halves setting in every room, and everyone drinking a little colloidal silver and water with a few drops of grapefruit seed extract. Everyone is feeling better, but I like to make sure I get extra rest so I don't end up sick. This post will be lazy; like I feel. Please do check out the wonderful linkups this week though. I know these ladies have some wonderful posts. The hostess reserves the right to delete any link for ANY reason. As you may suppose by the image... Beatrix Potter is an inspiration to me. I consider myself an artist, but I readily admit to being awful with watercolors. She did such an amazing job with them! ANY book you read to your children can be an art book. Yes, any book. The descriptions of Laura Ingalls Wilder, Charles Dickens, Louisa May Alcott, James Fenimore Cooper... could inspire the artist in anyone. I love how the Miss Potter movie depicts her saying, "...and suddenly I realized I was drawing a pigs swill bucket." I was raised on an old fashioned pig farm and I promise you, swill buckets can have the most beautiful colors swirling around in them. Various Calligraphy books to encourage coordination & beautiful handwriting. A collection of different Big Books of arts & crafts. There are so many to choose from! Devine Entertainment's Artist DVD specials ...I regress... DVD's about classic artists. Learning about other's art and inspiration is very important. I also purchase greeting cards from modern artists I appreciate for my children to study. A friend of mine says, "There is no such thing as 'Writer's Block'. It just means you need to be doing something different for a little while." ...like research, outlining, editing... I agree with her. I have a similar theory about atheists. I don't believe in atheists. There's no such thing as an atheist. I'm serious. An atheist is someone who doesn't want to believe in God. There are many reasons why a person would not want to believe in God. Atheists are mad at God, often having not properly worked through grief. Atheists find God to be inconvenient. They don't have time for Him, so would rather ignore and deny His existence. Atheists are afraid to admit they believe in God. They would lose their job or social place. If someone doesn't love God with all his being, he will have trouble keeping his heart in the right place and his mind and body under control. Of course, his soul is lost and he feels it. He's searching for something he can never quite grasp. This overflows into Loving Your Neighbour" When a person isn't fulfilled in life, they will tend to be inconsiderate, impatient, and inconsistent. Humble yourself. Know your sin. Repent. Grieve over the wrongs. Everything wrong in this world is a consequence for someone's actions or lack there of. Not to blame, but to accept the state a world that has turned it's back on the protection of The Creator. Realize eternity is forever. This life is short. Use it wisely, not worrying about where you are in it or what others think of you. Rather, consider the impact you want to leave. Bright copper kettles with warm woolen mittens. Out here in the Panhandle, our favorite things tend to be rather simple, especially in our family. Raindrops and dew on the flowers and cute little kittens can make it to that list. Newborn calves in the fresh fallen snow. Horses prancing up and down the fence whinnying for hay. Pencils, pens & paper in a wide variety of colors. Brown leather ...yes, I like brown leather. Shoes, boots, moccasins, purses, Bible covers, belts. Iron. ...another odd one... Cast iron skillets and wrought iron decor. Fire. Fireplace, candlelight, campfire... I even love my good ol' gas stove. ﻿I'm unique. Spelling isn't something I'm good at. I have many things I'm not good at. I also have many things I'm good at. You know the secret of success? It's realizing and recognizing your weaknesses, but not dwelling on them. Instead, success happens when you concentrate on your strengths and endeavor to continue to grow and develop them. Success is striving to fulfill the potential God has created in you. This week, I encourage you to make a list of your strengths and then list a few things you can do to develope them even more. Be encouraged by the unique person God created you to be. ***The hostess reserves the right to delete any link for ANY reason. ﻿St. Patrick's Day is a holiday veiled in superstition, myth and confusion. Most of us in the U.S. probably just see it as a fun day to wear green, do fun crafts with the children, and remember our Irish heritage. I hear that in the cities there are large celebrations with a parade and lots of alcohol. I wouldn't know about such thing. Though many Panhandle residents have Irish roots, we don't tend to have much more than fond thoughts for the Emerald Isle. We wear buttons that proclaim, "Kiss me. I'm Irish!" We're proud of our "stubborn Irish spirit." (Mix that with the German temper and you have a recipe for a great cowboy brawl!) We don't remember the songs, the language, the traditional foods. Well, except maybe in our desire to have taters of some sort with every meal. The more our family learns of European history and our personal genealogy, the more we dig deeper into the myths and legends. Most began with some sort of truth. 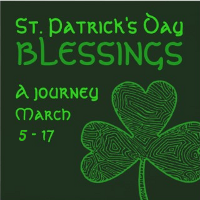 The Stories and legends of St. Patrick are an interesting mix of paganism, Christianity, superstition, rebellion, and pure truth. It is incredibly hard to separate the truly miraculous from everything else. St. Patrick's Day is a day to remember not only Irish history, but also missionaries around the world in the past and present. 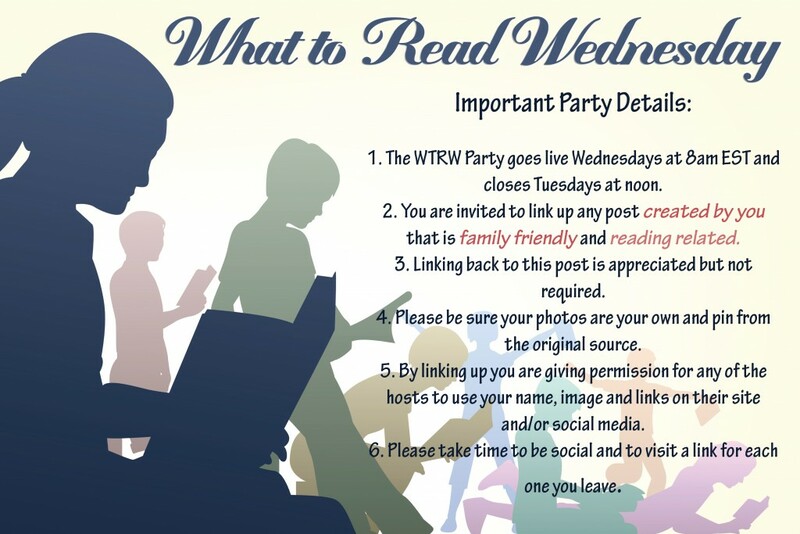 ﻿Welcome to What to Read Wednesday Link Up! This list has our topics for 2015, but anything reading and family related is welcome.